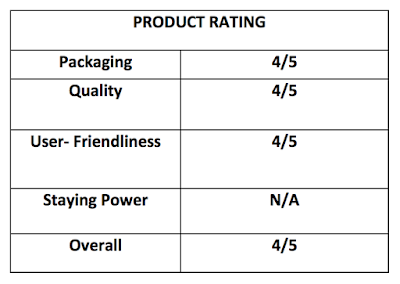 Here's a review on Pixi Skin Care. 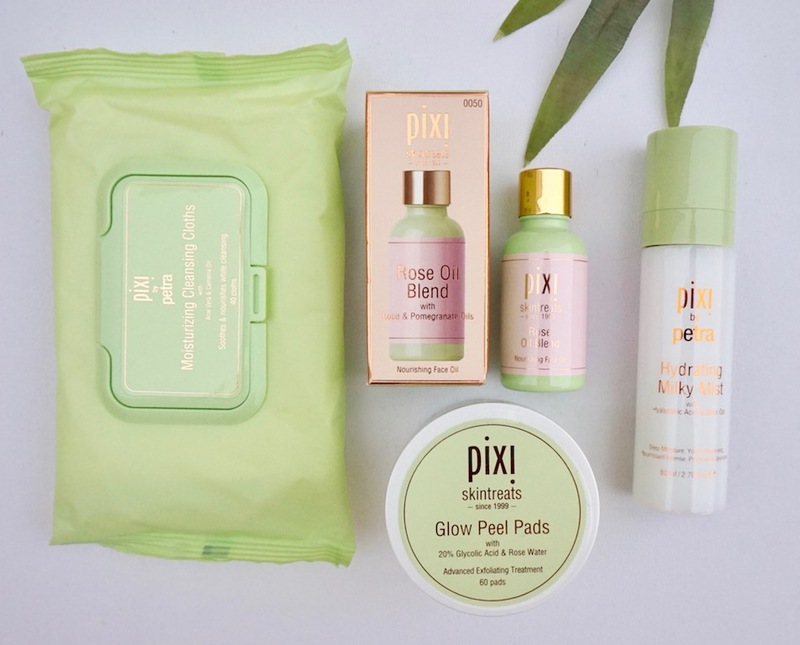 Aside from makeup, one reason to love Pixi by Petra is their skin care range; it's just as good as the makeup range and this is why Pixi is one of the newest brands I encountered that quickly earned a spot in my dresser. Reviewing this set that I have today! Pixi Moisturizing Cleansing Cloths has Aloe Vera and Camellia Oil; it removes dirt, makeup, and purify skin while providing instant moisture to calm skin after cleansing. It contains 40 cloths. This cleansing cloth has a pretty huge sheet and one is enough to remove makeup from your face, depending on how heavy your makeup is, but I find that the quality of the sheets is well- suited to light makeup wearers though formula is perfect for almost any skin type. It has a soothing lavender scent. 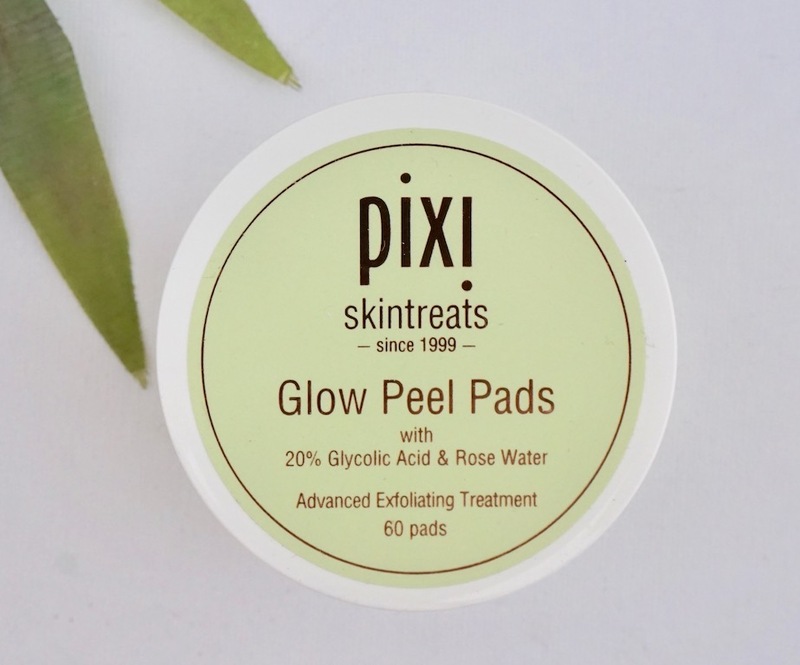 Glow Peel Pads is a handier version of their best- selling Glow Tonic; it has Glycolic Acid which aids in micro peeling to help skin absorb succeeding skin care products better. The formula has a semi- oil- like texture and stings for a bit so do a patch test first before usage if you have sensitive skin. I am aware of how Glycolic Acid can help problematic skin, but unfortunately, this one isn't for me; broke out for a little when I used it. I've found a new use for it though and that is as a solution for my elbows and knees; I'm using Pixi Glow Tonic for my elbows and knees as well and it helps keep those parts even. 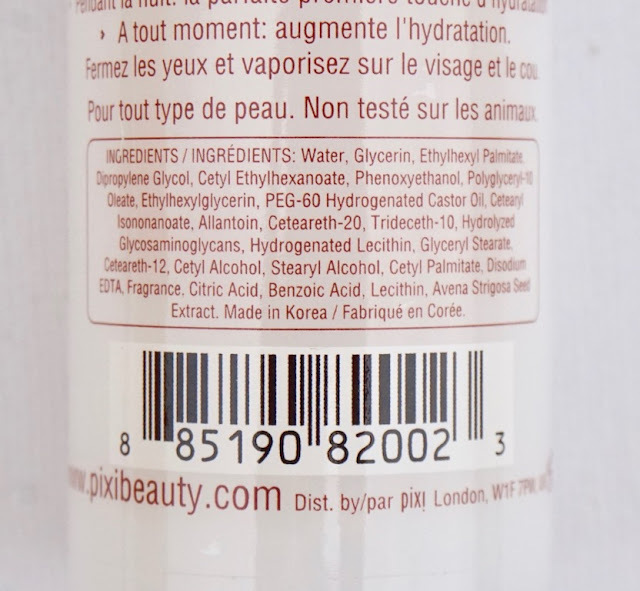 Hydrating Milky Mist is a milky mist boosted with Hyaluronic Acid, Black Oat, Linoleic Acid, and Provitamin A that promotes moisturization and hydration. 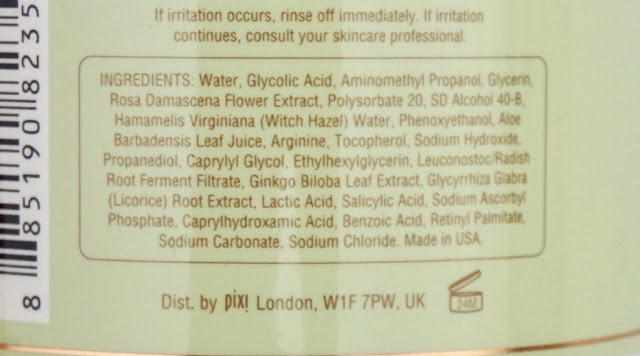 Pixi has one of the best facial mist formulas (here's a review of my favorite, Glow Mist); they smell good, feel fine, and helps keep makeup looking fresh! This one is great for setting makeup or as a hydrating base to help keep your skin care in place! Rose Oil Blend: ah, my fave! 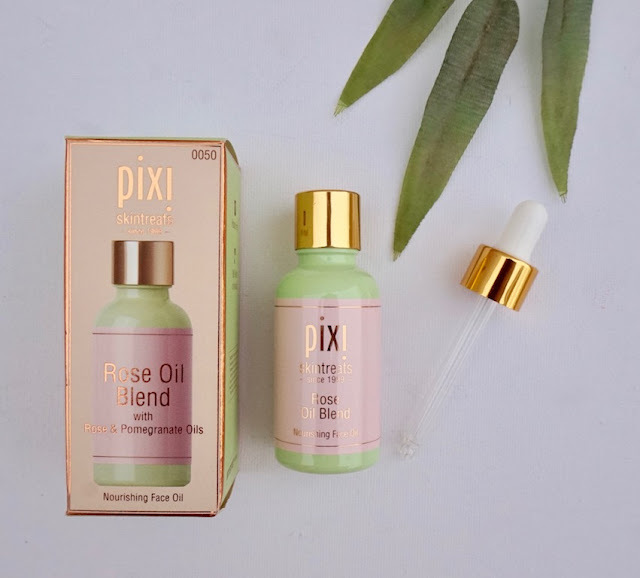 Rose Oil Blend is a facial oil with a botanical blend of revitalizing, youth- restoring oil extracts namely Sweet Almond Oil, Rosehip, Jojoba, Pomegranate Seed, and Rose Geranium. This oil is fabulous! It's moisturizing, hydrating, non- greasy, and has a calming lavender scent. I've been using this for over a month now and it's particularly useful if you're having a stressed day, week, or month at work and your skin needs serious rejuvenation; you might be stressed inside, but with this oil, your face won't show it! From this bunch, I highly recommend Rose Oil Blend and Hydrating Mist! Please visit PIXI PHILIPPINES on Facebook for more information about this product. I would love to try any PIXI products. 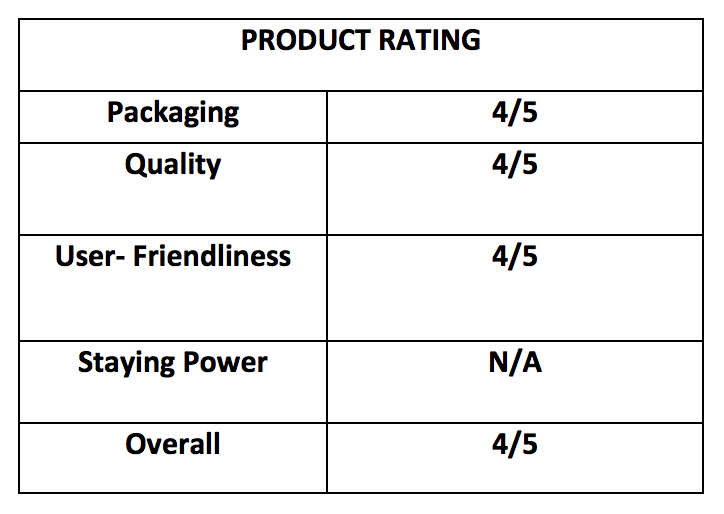 Because the reviews of their products is great. I saw this brand on Judy of ItsJudytime no wonder she loves it so much. 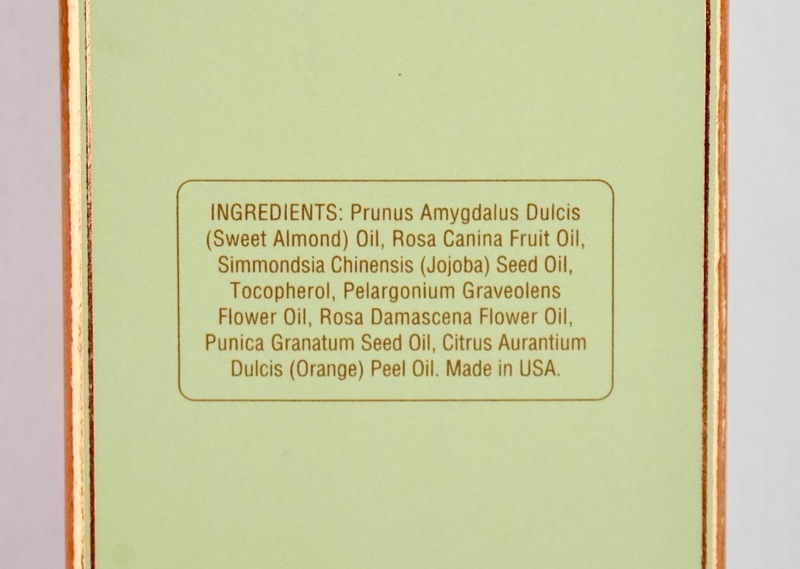 Wow, the rose oil blend is interesting. It's only made of botanical oils! 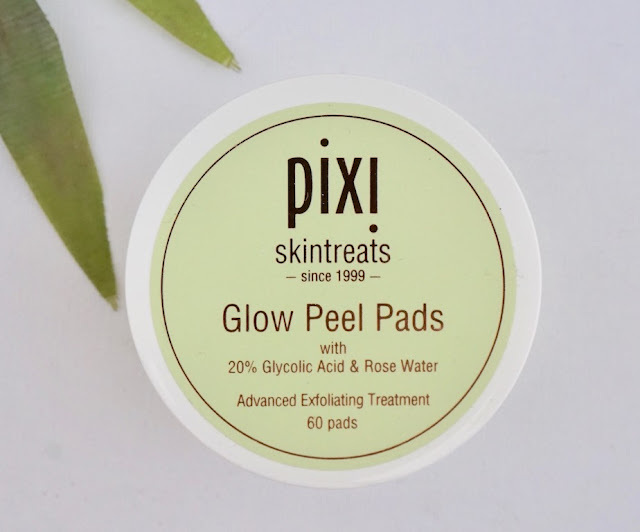 Haven't tried anything from Pixi yet but I would love to try the Glow Peel Pads (Glycolic has been my saviour especially when I break out a lot) and the Rose Oils blend too! I wanna try their Rose Oil Blend, looks promising, gonna save for this. Thanks for this post Ms M.